Writer/director Armin Siljkovic discusses his upcoming thriller. 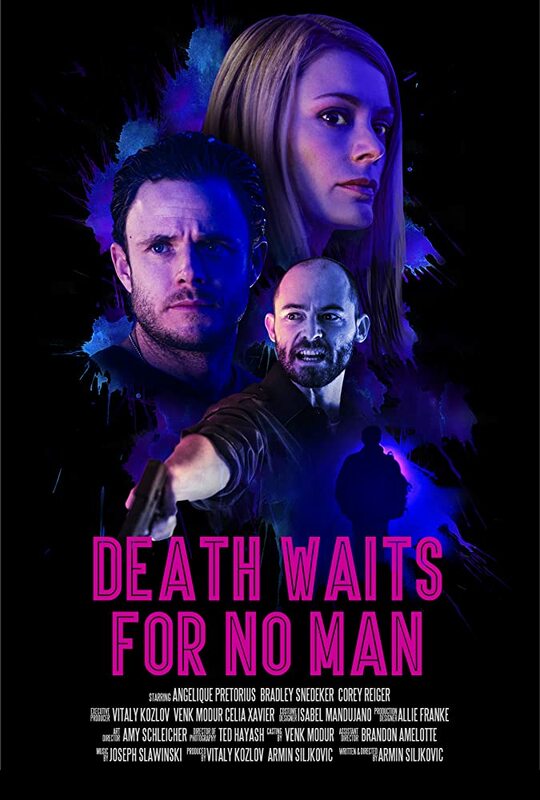 Released this Autumn, Death Waits for No Man tells the story of a neon art collector who seduces a lone drifter into killing her abusive husband. The film marks the feature directing debut of writer/director Armin Siljkovic, who tells us the inspiration for the film came from a desire to explore the darker side of “normal” people. The film looks solid. What was your initial pitch? The initial pitch for Death Waits for No Man was to make a dark, gritty film noir set in a twisted world with twisted characters. And did that pitch get you your cast and, more importantly, finance? It did, but not before I had written the script and rewritten it a dozen times to make sure it's as good as it can get. I think the script is the most important part when trying to finance a project. You can talk about cast and the look of the film and all that, but it all comes down to a great script with great characters. Would you call it a straight-up thriller or is this something deeper? I would call it a film noir thriller. I certainly hope it goes deeper on a lot of levels, I think every film should aspire to something more than just what's on the surface. What about the story - any influences there? Maybe something you read about in the newspaper? There wasn't any one particular influence. I've always been interested in exploring the darker side of “normal” people. You look at a city like Los Angeles from above and there's thousands of houses where “normal” people live, but there has to be some houses where some really sick things are going on that nobody knows about. That's what interests me; that's what film noir is all about in my opinion. Did you go back and watch films like The Postman Always Rings Twice before the shoot? From first looks, it seems the film resembles those classic noir films of the '70s and '80s than anything we've seen in recent times. Death Waits for No Man definitely has the classic noir elements - a femme fatale, an innocent guy caught in a crazy situation, etc. This was always the intention, but also to explore the darker side of people that we don't see, the emotional underworld that film noir is so good at portraying. That's what makes the genre so great: no one watches a film noir as a “feel good film”. Is it harder to get a film like this, which is a small, character-driven indie thriller, produced in today's climate of superhero movies and sequels? Yes and no. Most indie films these days tend to be comedies or hard dramas; there aren't a lot of risky thrillers and film noirs, which I think Death Waits for No Man is. But I do think there's an audience for films like these, an audience that's okay with being challenged. And on the other hand, a good script with a good story and characters will be good whether it's a small indie film noir or a big budget superhero movie. And ultimately, that's why people go to the movies. What do you think audiences will enjoy most about the movie? There are a lot of twists and turns in the film -- so far that's what people have enjoyed the most, that they couldn't predict what would happen next.